Periodically the two Throttle Body assemblies on your DB9 may need cleaning. Cleaning is simple, and when you have them off for the annual oil change service, you might as well give them some love. 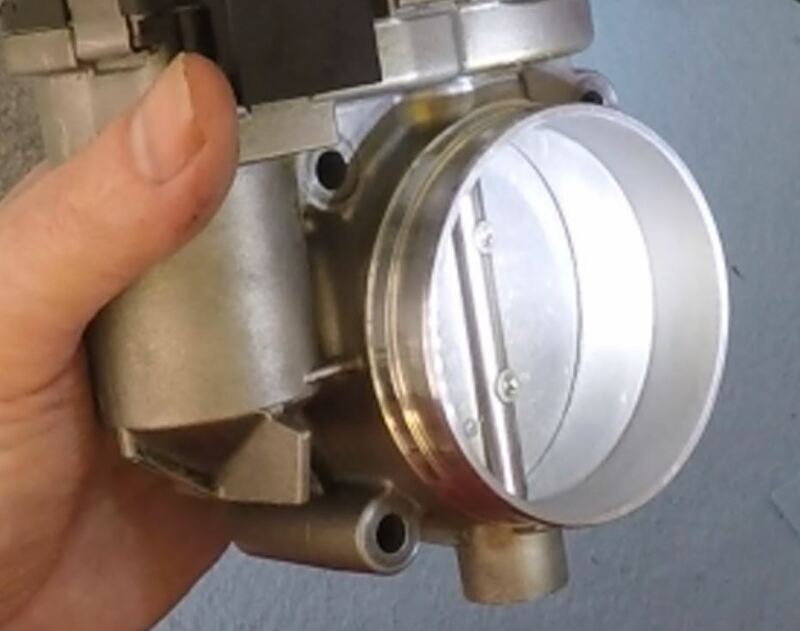 See my other post on Removing your DB9 Throttle Body. Once you have them off the car the only tools needed are a $5 can of Throttle Body cleaner and clean lint free rags. The most important part is to clean the residue and buildup that forms in the area where the butterfly seals in the bore. A build up here will make it difficult to modulate the low throttle air flow due to the interference. I just modestly apply the cleaner one small area at a time, and then wipe the surface. Repeat until clean! You’ll need to open the butterfly valve to accomplish the cleaning properly. I just gently pressed to open it with my fingers – NO TOOLS! You don’t want to risk scratching or bending anything. You’ll feel the internal works moving slowly to allow you to open it. Just be slow and gentle. 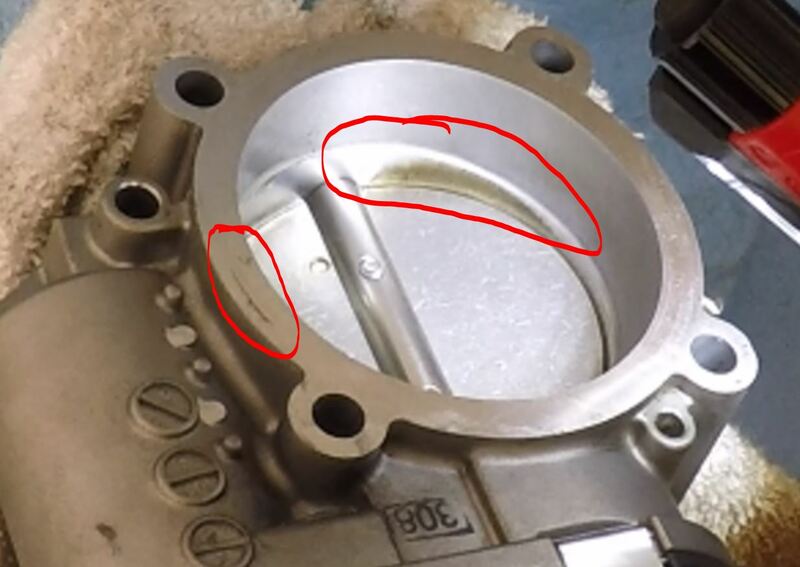 Give the mating surface that connects to the air intake manifold a wipe as well to make sure it’s clean and ready to seal against the O-ring. Even though the annual service only requires you to remove the left hand side throttle body (to access the oil filter) I take the time to remove and clean the right hand side as well. I’d suggest cleaning them as a pair. Here is a quick video showing a cleaning. Next up is reinstalling the throttle body.